Today we're bringing you a brand new and modern twist on traditional gazebos that are perfect for this summer and beyond. 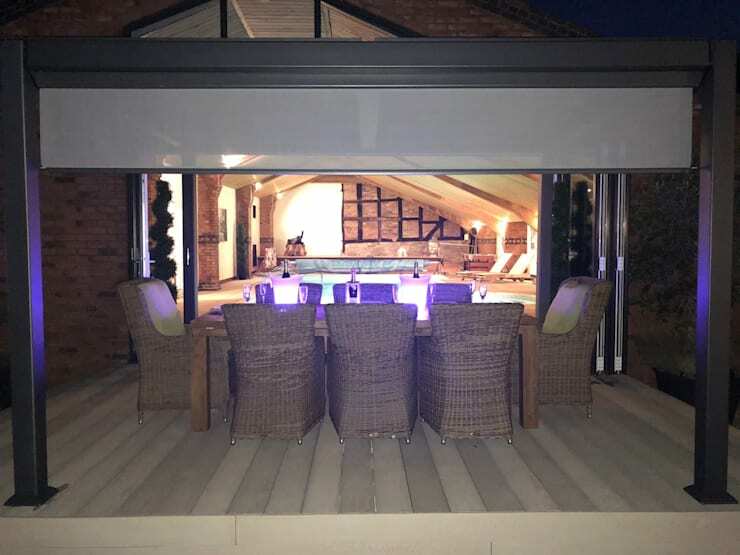 Garden Furniture Centre are experts in creating outstanding, high quality furniture and living products at affordable prices and their Galaxy Gazebos are no exception. With a simple yet contemporary style, these structures are a must-have in time for the warm weather. 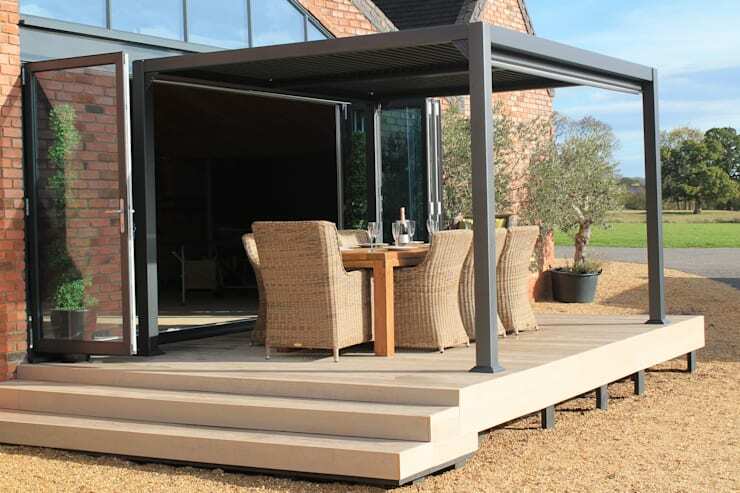 All of these gazebos are created to the highest standard, fitted with a full shuttered roof and a top drainage system. 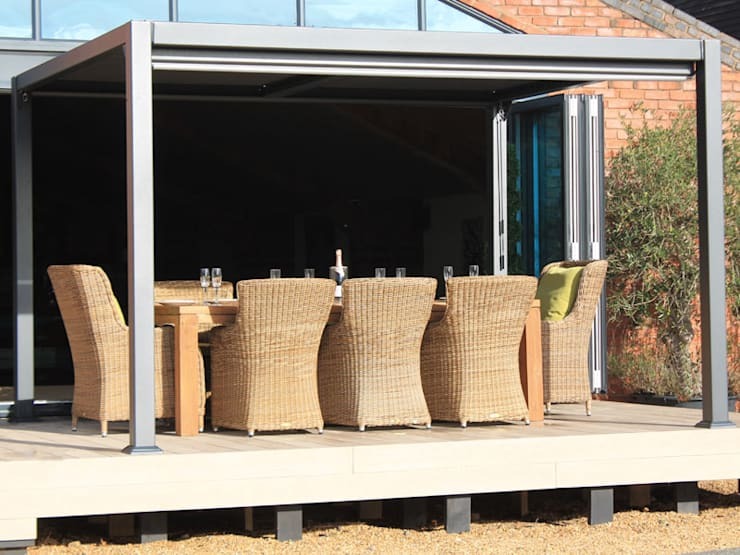 The roof system is key to this unique design – two easy-wind mechanisms make it quick and simple to to let in as much air and light as you need, depending on the day. 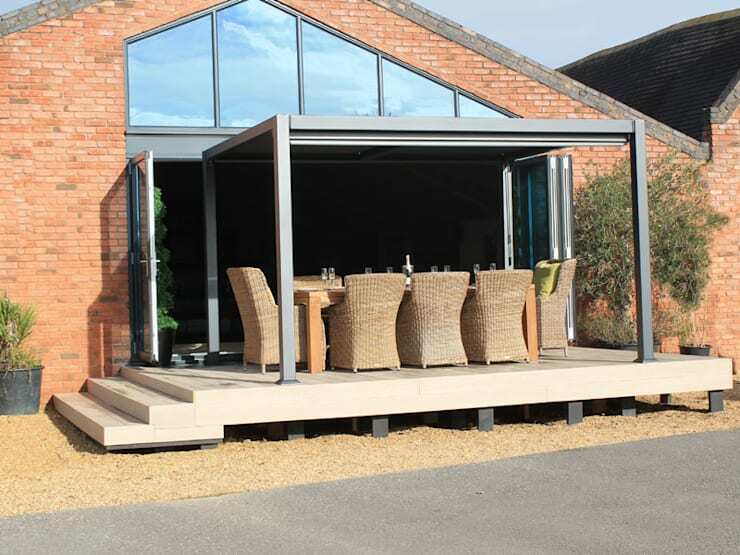 These exquisite gazebos also come with side screens that can be added as an optional extra. 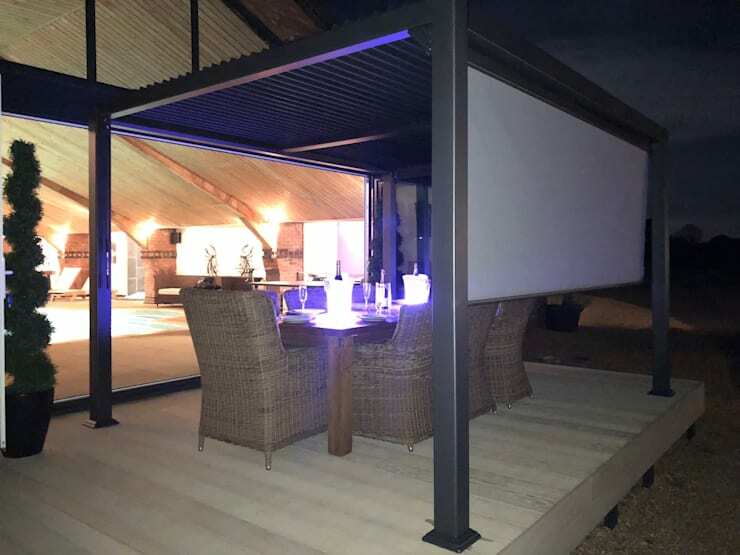 These screens are semi-transparent and made with the same quality materials as the main frames themselves giving a sense of privacy and protection from the elements without the feeling of being boxed in. Galaxy gazebos aren't just designed for the summer though. 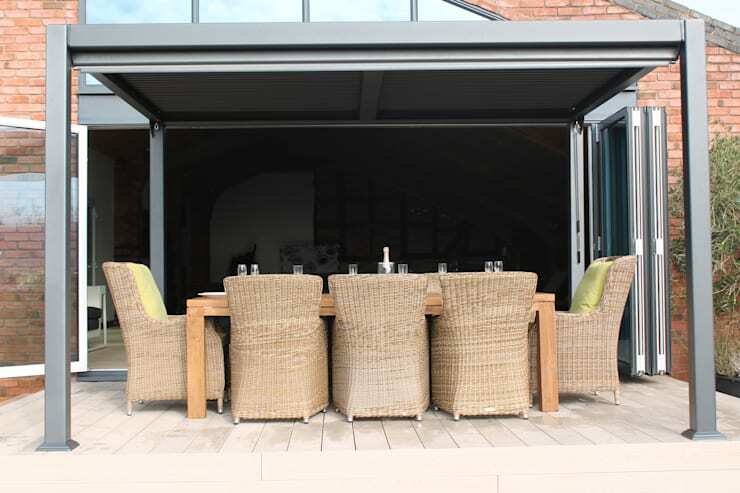 The main frames and shutters are made of toughened aluminium and finished with a silver-grey coating that can weather the elements while the roof is both waterproof and resistant to heavy loads, including snow. That's not to mention a perfectly designed drainage system that discreetly remove rainwater from the roof and into the ground. If you're one for inviting friends over or hosting in general, this is definitely the outdoor furniture piece you need if love to entertain guests.